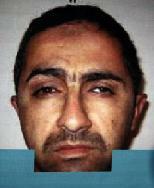 Abu Humam is directly responsible for the bombing of the Shia Golden Mosque in Samarra in February. Hamed Jumaa Farid al-Saeedi, known as Abu Humam or Abu Rana, was arrested a few days ago, Mouwaffak al-Rubaie said, adding that his arrest also led to the capture or death of 11 other top al-Qaida in Iraq figures and nine lower-level members. He was the second most important al-Qaida in Iraq leader after Abu Ayyub al-Masri, al-Rubaie said. Al-Masri succeeded Abu Musab al-Zarqawi, who was killed in a U.S. airstrike north of Baghdad on June 7. “We believe that al-Qaida in Iraq suffers from a serious leadership crisis. Our troops have dealt fatal and painful blows to this organization,” the security adviser said. Al-Saeedi was “directly responsible” for the person who carried out the bombing of a Shiite shrine in Samarra in February, al-Rubaie added. The bombing inflamed tensions between Shiite and Sunni Muslims and triggered reprisal attacks that continue still. “Al-Saeedi carried out al-Qaida’s policies in Iraq and the orders of the slain al-Zarqawi to incite sectarian violence in the country, through attempting to start a civil war between Shiites and Sunnis — but their wishes did not materialize,” al-Rubaie added. After his arrest, al-Saeedi gave up information that led to the arrest or death of 11 top al-Qaida in Iraq figures and nine lower-level members, he added. He would not reveal the identities of the others, or where al-Saeedi was captured, for security reasons. There was no word on if officials had to beat any information out of him. You wouldn’t want to upset democrats here at home with that kind of information.